After the news of the development pipeline funneling in around a billion dollars, Fremantle is noticing a sudden surge in the number of retailers opening their doors in the port town. For starters, popular supermarket chain, 7-Eleven, opened one of its outlets in Fremantle, which also happens to be the chain’s first retail outlet in West Australia. Another popular brand, Boost Juice opened an outlet right behind the mall. The opening of such major retailers signals a growing interest in the shopping strip, which was once known for its dwindling prospects. Not too long ago, Fremantle had to face the challenge of battling low traffic and a significant increase in vacancy numbers. Under-investment was stated to be the primary cause behind the drop in commercial growth. However, significant investments from multiple sources, including local retailers and large scale investors has changed things for the better and channeled more retail interest towards the port town. One of the recent major investments in the town was made by Silverleaf Properties. 16.5 million dollars were invested by the group towards the restructuring of the town’s Atwell Arcade. The group is also working towards receiving approval for the re-development of the famous Woolstores Shopping Center. The Silverleaf Group has invested over $80 million dollars in the past, which included the purchase of key properties such as the Fremantle Woolstores, the Atwell Arcade, and the Target building. In an effort to further the recent boost in retail interest, many of the town’s property owners, including Manning Estates and Hanny Developments, are busy developing their real estate assets. 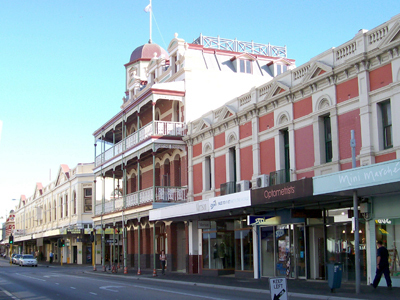 The objective here is to increase the rate of occupancy and tenancy across Fremantle. Added to that, $500,000 has been pledged by the local council towards public works. One of the most significant investments comes from Sirona Capital. The investment firm is presently focusing its efforts on the $220 million King Square development. Apart from that, Sirona has also supported the Dalgety Woolstores conversion project, spending around 97 million dollars. Sirona Capital happens to be one of the many large scale investors that are currently riding the Fremantle retail wave. The involvement of major players such as Sirona Capital paints a rosy picture for the port town’s retail sector.